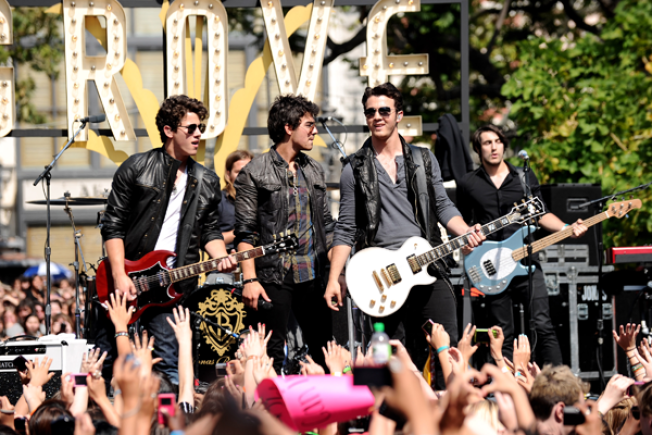 Jonas Brothers provide free entertainment at The Grove. What do you get when you offer a free Jonas Brothers concert? The people at The Grove know all too well as they experienced the mayhem of thousands of adoring fans rushing the stage to get a glimpse of their idols. The trio wow'd the crowd and almost started a riot as "proceed in an orderly fashion" meant nothing to the fans standing behind the gate. A YouTube video, recorded by a mother and daughter, captures the scene as ushers "headed for cover" as the concert began and the crowd ran toward the front of the stage. YouTube video courtesy of Terri and Tara Graham. * If you have pictures from the concert post them to NBCLA.com. Leave a comment and tell us what you thought of the concert or the video.